According to reports published in German newspaper ‘Handelsblatt’, BMW CEO Harald Kruger has reportedly confirmed that the BMW i8 Spyder concept is finally heading for the production. 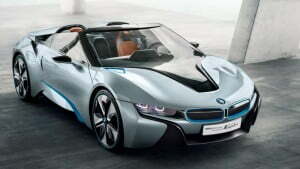 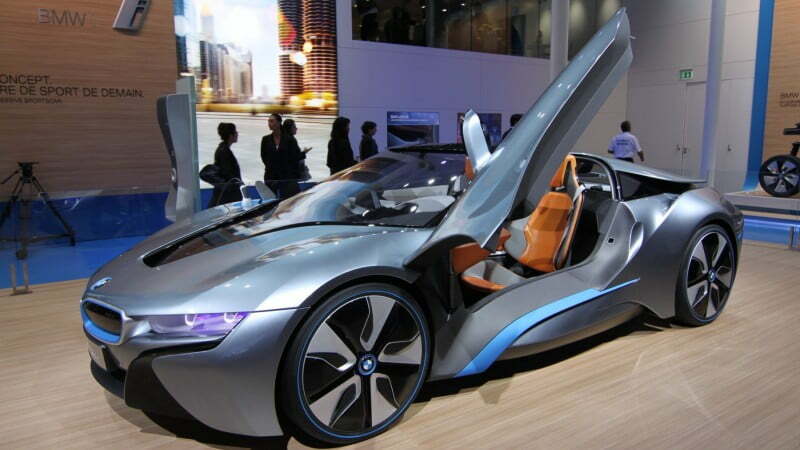 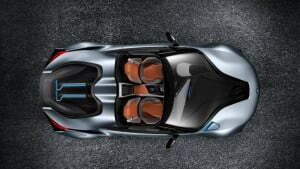 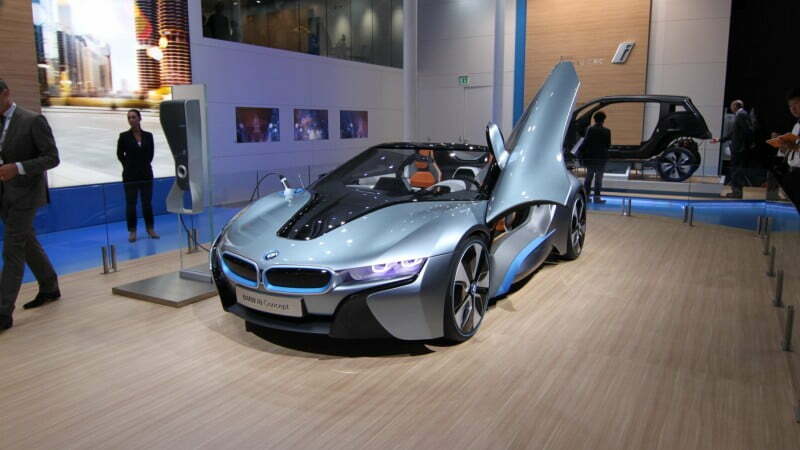 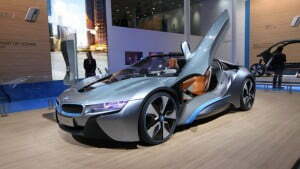 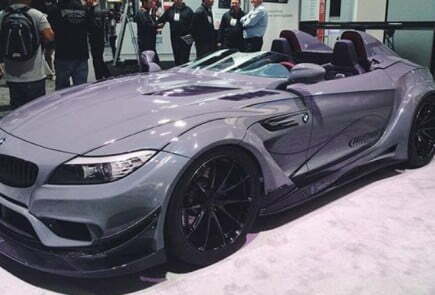 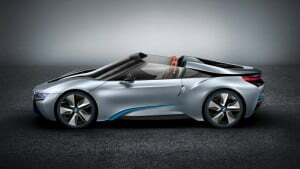 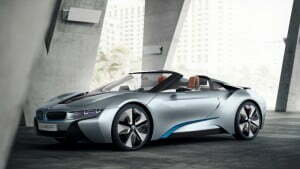 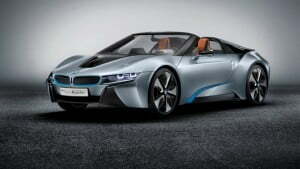 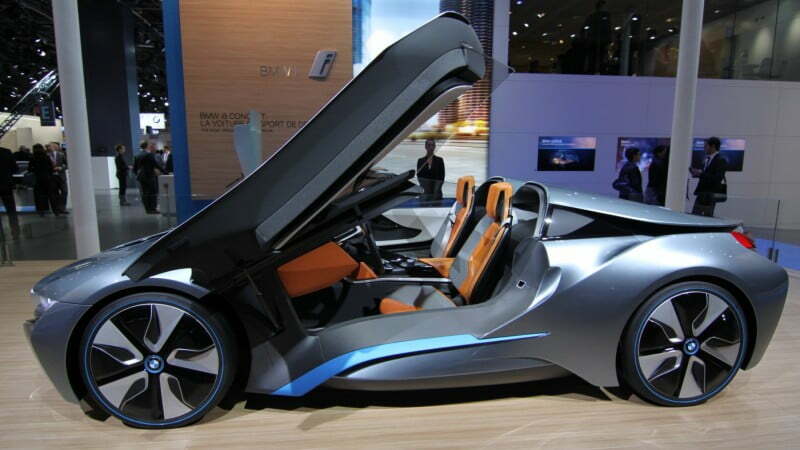 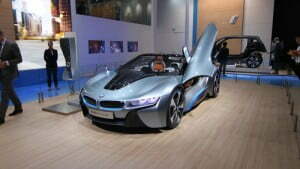 BMW debuted i8 Spyder concept is a two-seater, open top hybrid variant based on BMW i8 at the 2012 Paris Motor Show. In the past few years, there has been confusing reports about its approval for the production, but finally it looks like BMW has green-lighted for i8 Spyder production and will hit the markets as early as 2017. 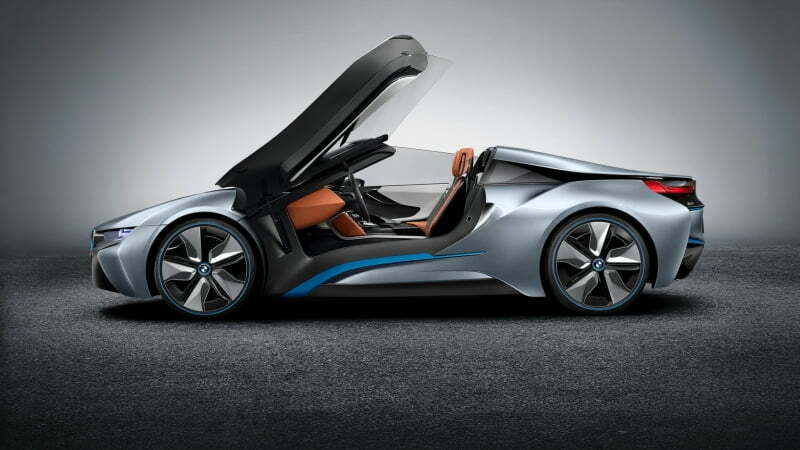 The BMW i8 Spyder will look nearly identical to the concept version, with aerodynamic and aesthetic design to improve its performance as well as efficiency. 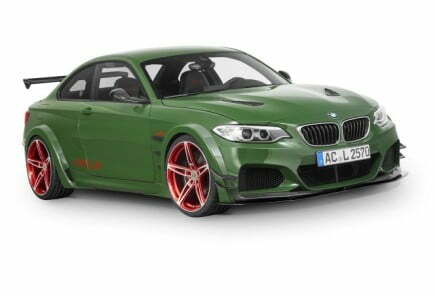 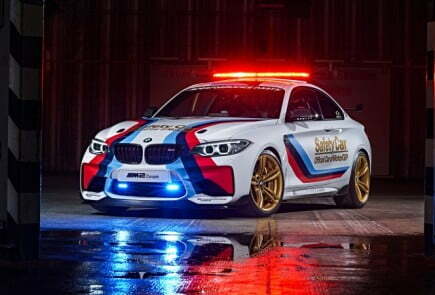 The car features light weight carbon fiber reinforced plastic (CFRP) passenger cell and aluminium components Drive modules such as the powertrain, chassis and safety features. 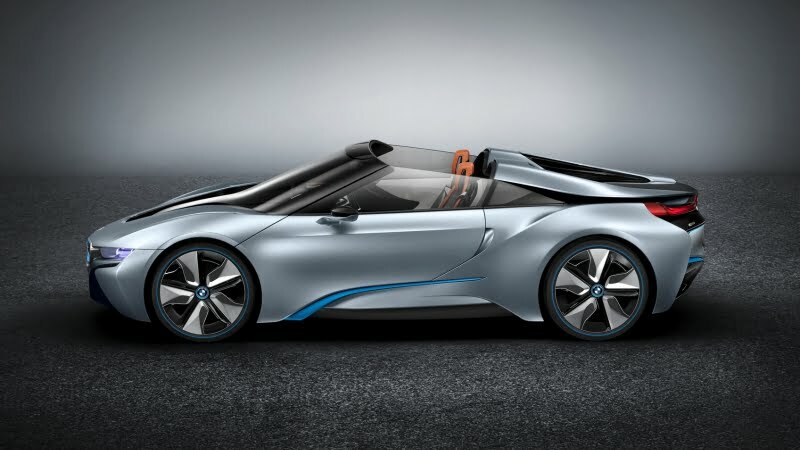 BMW hasn’t unveiled any exact details regarding performance figures of i8 Spyder, but it may receive an updated battery pack and a potential increase in power. 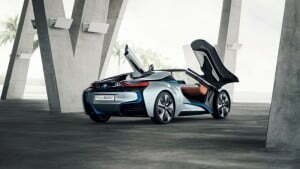 The i8 Spyder will likely carryover the i8’s hybrid eDrive powertrain, which combines 228hp, 1.5 litre three cylinder turbo petrol engine and 129hp high performance electric motor. 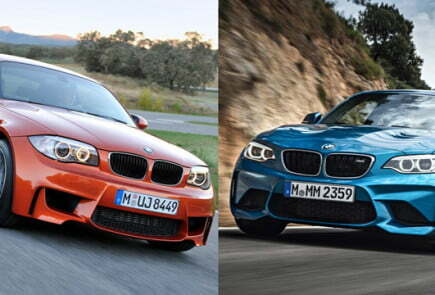 The engine is placed behind the driver and linked to an electric motor at the front producing a total of 357hp and 570Nm of torque. 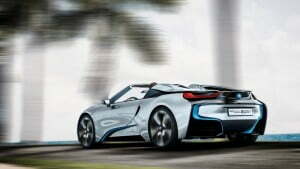 As a result, i8 Spyder will sprint from 0-62mph in just 5 seconds and can reach a top speed of 155 mph (250 km/hr). 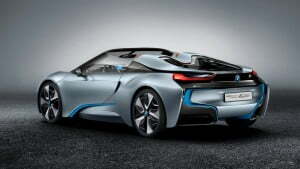 The lithium-ion battery supplying power to an electric motor can be recharged in a very short space of time from any domestic power socket. 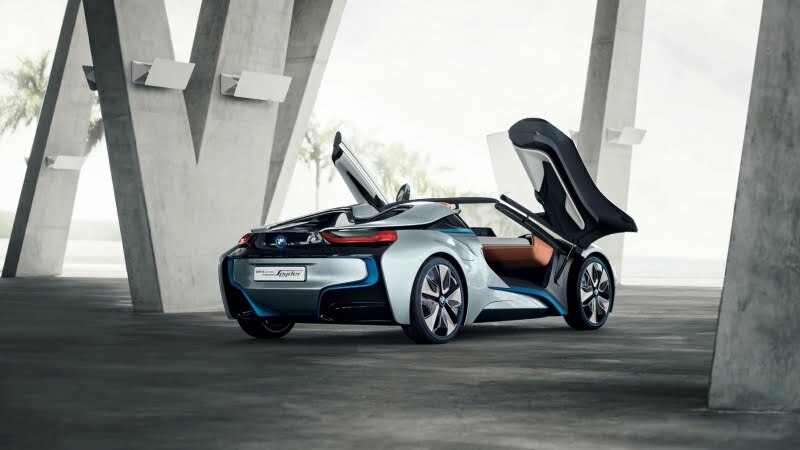 Among the most eye-catching features of the BMW i8 Spyder are the fluidic body design with smooth body curves, removable roof panels instead of folding soft top and upward-swivelling, windowless doors. 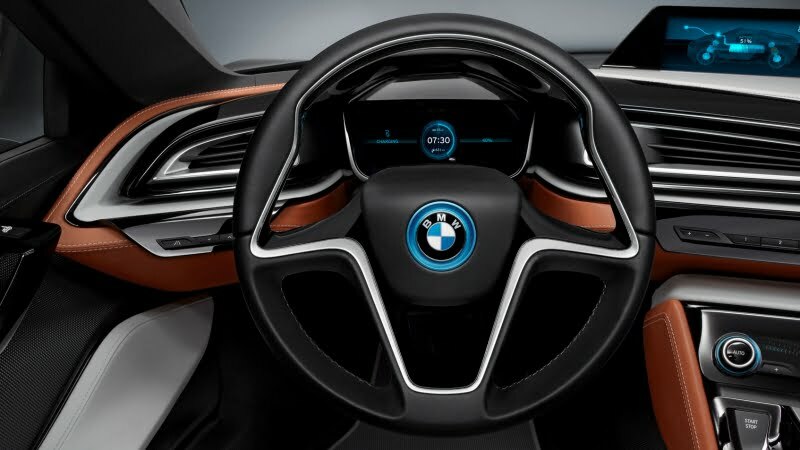 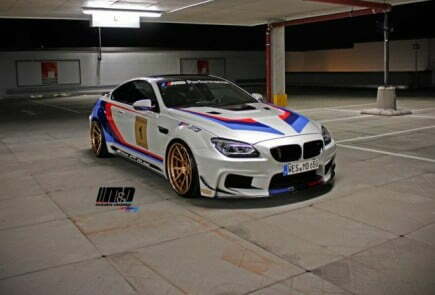 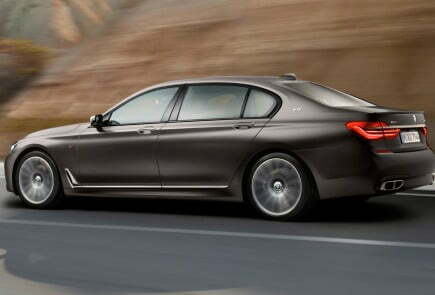 Reports are that the car may cost around USD 141,000 which is around USD 5000 more than the current BMW i8 model available in the market.